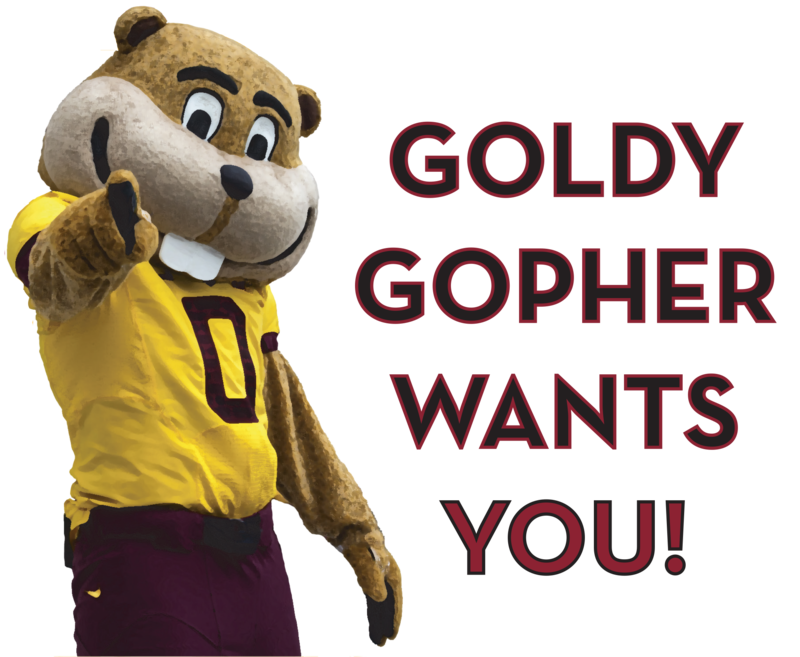 We invite you to join our team at the University of Minnesota Veterinary Medical Center (VMC). The VMC has served the community for more than a century. With 16 specialty areas, state-of-the-art equipment such as a 3T MRI, CT, and Linear Accelerator, the VMC is one of the nation's busiest veterinary hospitals, treating more than 40,000 animal cases annually. Learn more about the Veterinary Medical Center. Assists Clinicians and other medical staff members with veterinary medical procedures which may include (but are not limited to) specialty care, emergency care, intensive care, surgical assisting, radiography, anesthesiology, laboratory procedures, administering treatments, animal nursing, animal restraint and handling, preventative care, clinical research, etc. within assigned service area as well as across functions as needed. Days and hours will vary. 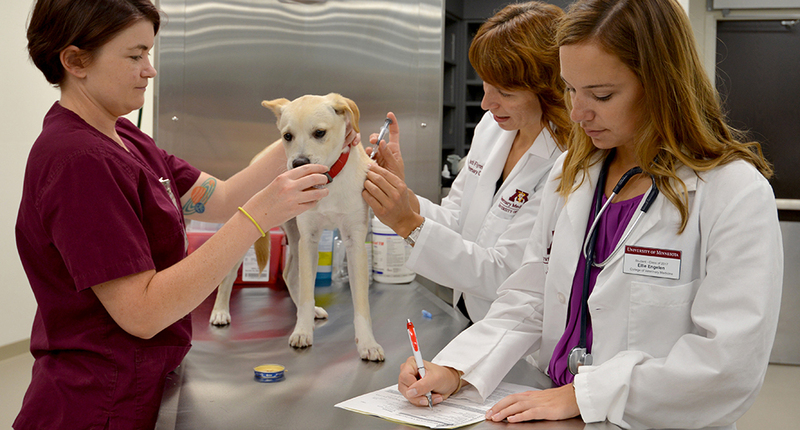 The University of Minnesota Veterinary Medical Center is looking for a certified or certification eligible Veterinary Technician to work in the Anesthesia and Pain Medicine Service. This position is fast paced, requires some independence, and provides opportunities to use advanced technical skills and critical thinking at a high level, all while under the supervision of a board-certified anesthesiologist. Job duties include but are not limited to: patient assessment, anesthetic drug selection and management strategy, advanced patient monitoring, complication identification, and finally, individualized post-anesthetic care of patients. Our hospital has state of the art equipment and focuses on evidence based medicine with a strong emphasis on learning and teaching. Assists DVM and CVT with patient treatments, drop off discharges, etc., assist with preparing patients for a variety of veterinary medical procedures. Hourly treatments on Wards and Isolation patients. Assists in deep cleaning of wards and isolation. Provides coverage for three holidays per year. Maintains a clean environment in hospital area and ensures that these areas are adequately ordered, stocked and that equipment is in working order. Assists clients and patients with receiving, assessment, work-up, discharges, etc., prepares patients for a variety of veterinary medical procedures including preparation for specialty care treatments and services, radiographic procedures, catherizations, venipunctures, vaccinations, anesthesia, administration of medications and treatments, etc. Under the direction of a DVM, performs a variety of medical and diagnostic procedures depending upon clinical indications and area of service; may perform intravenous and related therapies (i.e. fluids, chemotherapies, and anesthesia), obtain fluid or tissue samples, perform biopsy techniques, etc. Administers medications, vaccinations, allergy testing and others as defined by the duty clinicians. Ensure that clients understand home care instructions and instruct clients on how to properly medicate and perform specialized home procedures on their pets. Prepares patients for a variety of veterinary medical procedures including preparation for sedation/anesthesia, ultrasound, venipunctures, radiology, and administration of medications and treatments, etc. With oversight by a DVM Anesthetize, monitor, and treat anesthesia patients canine, feline, equine, bovine, caprine, ovine, and other exotic species. Responsible for quality control of diagnostic/medical equipment and notification of appropriate repair personnel when equipment is malfunctioning. Understands, is proficient in, and can teach proper use of diagnostic/medical equipment used in area of service. Answers questions and explains or demonstrates procedures and equipment for clients, residents, interns, senior veterinary students, and technician students.